Varsity Driving Academy is ready to teach students how to drive and do it safely. We have many different services to available, but the goal is the same with each one. Check out a few of them below and then sign up! Welcome to Varsity Driving Academy Fountain Valley High School! Our pick up and drop off service means you can always make it to your training sessions from just about anywhere. Don’t worry about making it on time, we’ll take care of it all. Online Learning means you can do it at your own pace and is just one of the benefits. Firstly you need to select your package and sign up, then submit your login information and you’re ready to go. Sign in and get started, you can also rest assured knowing we are there for you to answer any and all questions you may have. Simply give us a call with any questions and we can help explain you through the issue. When you’re done learning for the day, save and sign out. When you’re ready to come back, your progress is saved and you’ll be able to pick up where you left off. Learn from anywhere you have an internet connection and when you’re finished you can go and take your DMV written test. We are proud to be part of this process, and take every step very seriously. Behind-the-wheel training is a crucial part to your learning experience. This is where your learners permit will be validated, and you’ll get real world experience. DMV requires that you have 6-hours with a certified trainer. We split those hours into three 2-hour sessions, but if you feel you need more than that, we can accommodate you. We can schedule these as you see fit, but we do have some recommendations. Ask your certified trainer about how we recommend scheduling your training sessions. Some students may want a little extra, and for them we offer the DMV package. This package is essentially a concierge service. We will call and schedule your DMV test appointment, we will pick you up and take you to the test and we will let you use our car for the test. Just our way of being there for you to the very end, and to celebrate with you when you successfully get your license. For more information on this or any of our packages, please contact us (949)-387-4400. 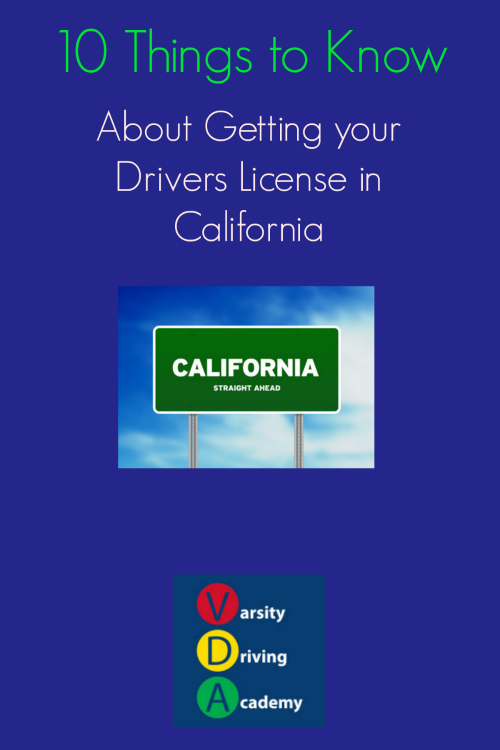 There are a lot of things to know about getting your license, besides just the rules of the road. Here are 10 things you need to know.